In Home Pinball Machine Repair in Michigan. We Repair Pinball Machines made in 1940 and up. We can come to your home and fix your game or you can bring the game to us. We service the Detroit Metro area, Ann Arbor, Jackson, Lansing, Flint, Plymouth, Livonia, Brighton, Milan, Irish Hills, Adrian, Farmington Hills, West Bloomfield, and other sourrounding areas. Over 10 years of experience - licensed and insured. See Pinball Machine Repair for more information. We Buy Pinball Machines in All of Michigan, Ohio, and Indiana. We pay cash for pinball machines in any condition - working or not! We pay between $100 and Several $1000 depending on title and condition. We are clean and professional - when we come to your home we will treat you with respect, honor your privacy, and treat your home with care. Send an e-mail to parker@michiganpinball.com or call 248-361-9349. See We Buy Pinball Machines for more information. Pinball Machines for sale in Michigan. We sell pinball machines. Local delivery and setup is available. We also ship games. See Pinball Machines For Sale for a current list of games and prices. Play Pinball Machines in Michigan. 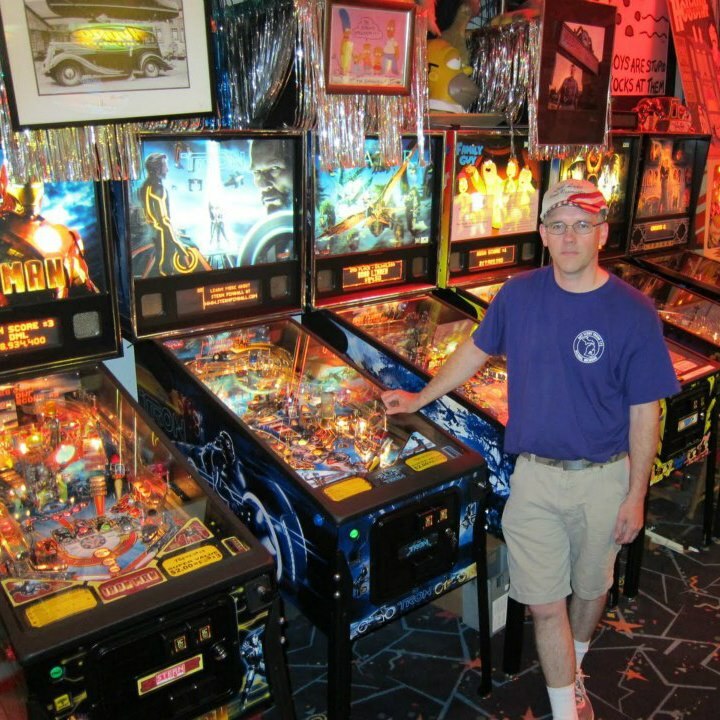 We repair and maintain the machines at Marvin's Marvelous Mechanical Museum in Farmington Hills Michigan. There is about 15 pinballs machines from the 1970s to the latest new game! See for Where To Play Pinball more information. Contact Information. Email Parker Thomas at parker@michiganpinball.com. Call Parker at 248-361-9349 or 734-475-0101. Conveniently located in Commerce Township, Michigan 48382 and Chelsea, Michigan 48118. See Contact Us for more information. The Michigan Pinball Blog. Follow our adventures finding new games.